Home News World Cup glory for former Coyotes! 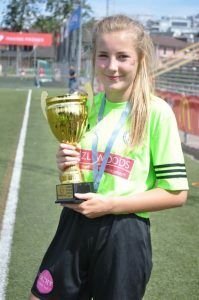 Four girls who started out with DSBGFC have gone on to enjoy success on the international stage. Rebecca Finch, Layla Hart, Bailey Hodge and Jess Rew, all enjoyed playing for the Coyotes and developing as players before joining Wolves, Villa and Albion. 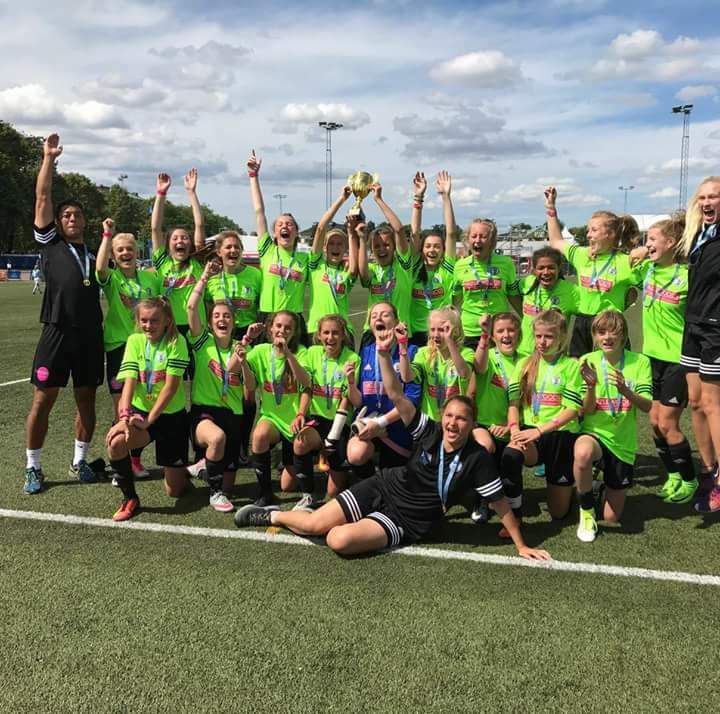 They have recently returned from Gothenburg in Sweden, as part of a U15 team representing schools from across Worcestershire, competing in the annual Gothia World Youth Cup. This is the world’s largest and most international youth tournament, with around 1,700 teams from 80 nations! During a memorable ten days, the team progressed to a final and lifted the trophy after a 4-1 victory against Gideonsbergs of Sweden. We’re told that their success was built on a fantastic team spirit, hard work and determination, with loads of fun along the way, all values we seek to promote at our club. Well done girls!